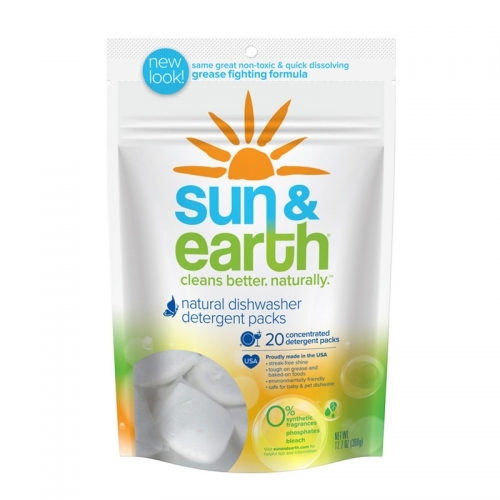 Living a Fit and Full Life: Clean Your Home Naturally with Sun & Earth! Sun & Earth: Clean Home. Clean Planet. Sun & Earth: Bright. Green. Clean. Soft, safe and static free! 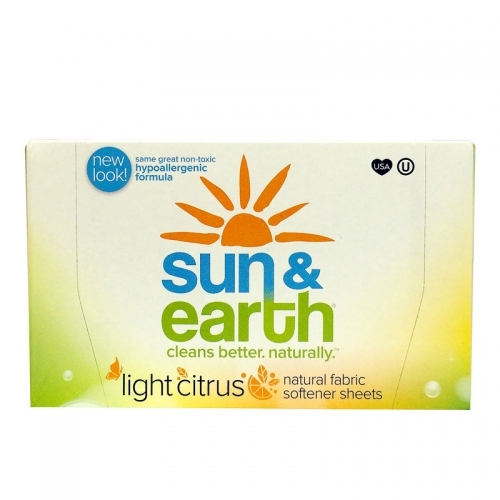 Our fabric softener sheets are hypoallergenic, non-toxic, and biodegradable. They make your fabrics feel extra soft while eliminating static cling, and are safe to use for family members, large and small. Grass stains beware! Our hypoallergenic formula has no added dyes, perfumes or preservatives which are leading causes of skin irritation. It is safe to use in hot or cold water, standard or high-efficiency washers, and hard or soft water. Now there’s a bright side to doing dishes. Our richly foaming formula is gentle on hands and tough on food and grease. Hypoallergenic and dermatologist-recommended, it has no added dyes, perfumes or preservatives which are leading causes of skin irritation. It is environmentally friendly and safe for family members, large and small. Your secret weapon for a sparkling home. Our natural, non-toxic formula works great at removing grease, grime and dirt in your kitchen, bathroom and all around your house. 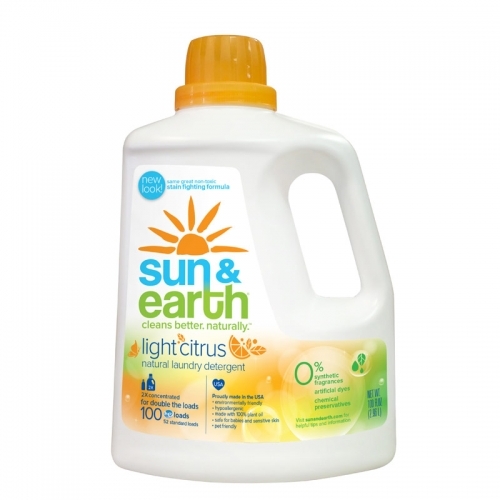 Made without petroleum-based solvents, brighteners, dyes, or perfumes, it is environmentally friendly and safe for family members, large and small. Clearly the best. Newly formulated and better than ever, our glass cleaner is natural, non-toxic, and effective without the use of ammonia or other harsh chemicals, so it’s safe for family members, large and small. 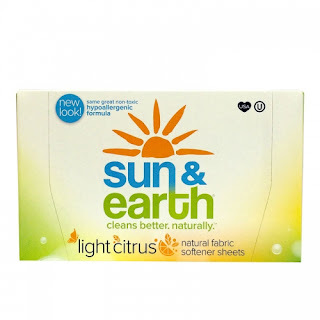 Sun & Earth products are amazing! 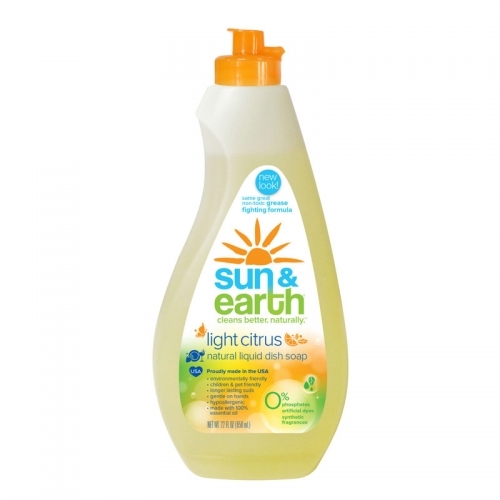 As a mom of 4 I definitely don't want to use cleaners that contain harsh chemicals in my home, which is why I love that Sun & Earth products contain no harsh chemicals and are completely harmless to both pets and humans. 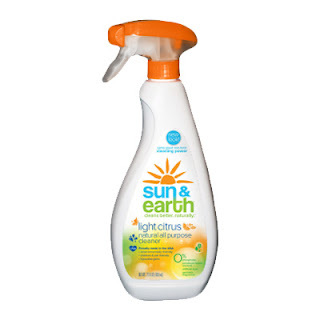 I also love that Sun & Earth products use plant-derived ingredients that are both natural and non-toxic. Sun & Earth products contain no petroleum- based ingredients, bleach, chlorine, ammonia, dyes, phosphates or perfumes. 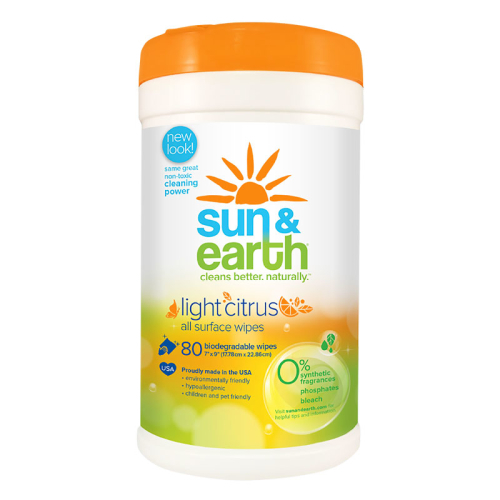 Did I also mention how well Sun & Earth products work! I'm completely blown away at how well they clean and they smell wonderfully amazing. I'm in love with the citrus scent and how fresh and clean they makes the air in my home smell. I highly suggest tossing out those chemical filled cleaners as part of your spring cleaning and making the switch to Sun & Earth products! 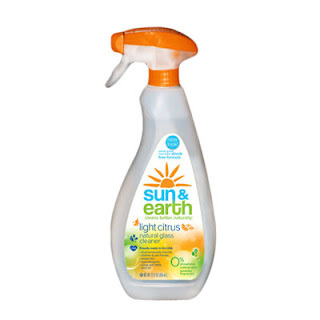 Click HERE to find a store near you that sells Sun & Earth! Click HERE to learn more about Sun & Earth! Follow Sun & Earth on social media!